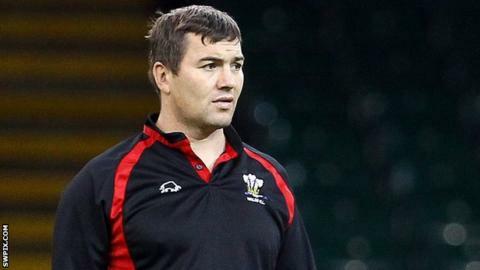 Iestyn Harris has replaced Brian Noble as head coach of Salford, with Noble offered a director of football role. Harris has left his position as assistant coach at reigning Super League champions Wigan, who confirmed the 37-year-old's departure on Friday. Red Devils owner Marwan Koukash told BBC Radio Manchester that it was "not easy" to tell Noble of his decision. "Brian knows I want him to stay. I need to use his experience to do a wider job for me," said Koukash. "I think the change is needed. When I look at the wider picture of the club, there seems to be no connection between the academy and the first team, and I needed to put a new structure in place with Brian overseeing all the developments. "When I met him [on Friday morning] I made it absolutely clear that he is not being sacked. I think he wanted 48 hours to think about it. I genuinely and sincerely hope that he will accept the new role." Koukash, who took control of the Red Devils in January 2013, continued: "It was not an easy meeting, having to tell a friend of mine that he is no longer the head coach and that I want him to do something else. I don't think he took it very well. "I don't enjoy making these decisions but I make them because I believe in them. "I go back to 12 months ago, when I told Phil Veivers that he was no longer required. It wasn't an easy decision to make but I knew it was the right one to make at the time." Wigan said Harris, who is also the national coach of Wales, left the Warriors with their best wishes. "We were approached by Salford owner Marwan Koukash over a week ago asking to talk to Iestyn," said rugby manager Kris Radlinski. "Following discussions with our chairman Ian Lenagan and head coach Shaun Wane, permission was granted and Iestyn has informed us since of his decision to take up a new role with Salford. "I'm surprised a change has been made so soon after Salford's win at Hull in the Challenge Cup last night, but I think it shows the desire and determination that the Red Devils have to become a force in Super League. "It now represents a big opportunity and an enormous challenge for Iestyn Harris, but this decision illustrates that whoever is in charge has to get it right - sooner rather than later." "Iestyn was out of contract at the end of the season and, once the approach had been made, it brought forward discussions regarding his future. We see this as an outstanding opportunity for Iestyn to take his career to the next level. "He acted very professionally throughout and, once a position was offered, it was the right thing to do to allow him to pursue the next challenge in his career." Former Bradford, Wigan and Great Britain coach Noble replaced Veivers at Salford in the early weeks of last season but he could not prevent them from finishing bottom of Super League. He oversaw a large turnover of players during the winter, with England internationals Rangi Chase, Adrian Morley and Gareth Hock among their new arrivals, and they have made a solid start to the 2014 campaign. They have won three of their first seven league matches and progressed to the fifth round of the Challenge Cup with an extra-time win at Hull FC on Thursday. Harris - a former Super League Man of Steel and cross-code Wales international - worked alongside Noble at Crusaders before taking charge of the Welsh club in 2011, their final year at the top level. He coached Wales at the 2013 World Cup but they failed to progress past the group stage. Salford are also hoping to employ suspended Cronulla Sharks coach Shane Flanagan in a consultancy role on a short-term basis. Flanagan is currently serving a 12-month ban after Australia's NRL found that he had failed Cronulla's players in regards to safeguarding their health and welfare during the 2011 season.